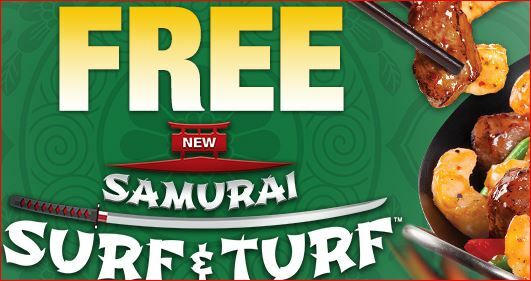 Free Samurai Surf & Turf @ Panda Express!! Instantly print THIS COUPON or show it on your phone at your local Panda Express on April 17th for a FREE Samurai Surf & Turf entree. Offer limited to one coupon per person per day. No purchase necessary.